Corina is our Destination Expert in Romania. "Florin , Corina's husband was great , he was so kind , helpful & knowledgeable. We were so gratefu...". 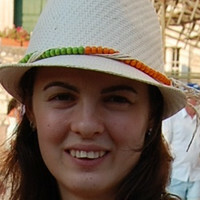 "Corina's communication responsivenss and planning for the trip to Transylvania was very good. The ac...". "Corina was a pleasure to work with in planning the trip. She was patient, detailed-oriented, and ve...". When you hear Romania what do you thinking of? Do you imagine a luxury room with a beautiful view and an amazing spa with massage and body treatments? 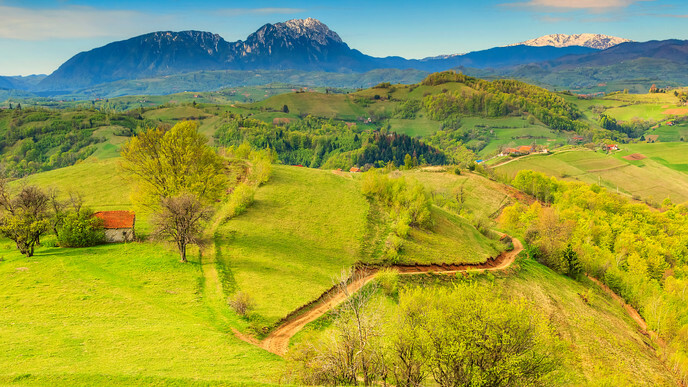 Spend 5 magical days in Romania on this trip. Visit amazing hotels, great spas, and some beautiful attractions. All of these have been carefully selected to create the perfect holiday that will load your batteries! Start your tour in the capital of Romania. You will take a short guided tour of the city center, followed by a shopping session. The rest of the day will be for relaxing. Enjoy the pool, the sauna and the other facilities of your hotel. Let yourself spoiled with the included massage! Start your day with a visit to the second biggest building in the world, the Parliament Palace. You will discover here a piece of Romania’s history and a structural design that will leave you stunned. After this visit, it’s time to say good-bye to Bucharest and go to Therme. Therme is a wellness concept that hosts the biggest botanical garden in Romania and 10 pools with thermal water. It’s time to explore more of Romania and relax in the mountains. Visit the Rasnov Citadel and Bran Castle and after that spend a pleasant evening in Poiana Brasov, the best known mountain resort in Romania. You can stay in the hotel and enjoy the pool or go for a walk outside in the nature. What a better way to slow down and forget about the real world than in the countryside? Transylvania has several old houses restored and ready to receive you. In the morning visit Brasov, a beautiful medieval city, and in the afternoon, step back in time in one of Transylvania’s traditional villages and let your senses be charmed with old, good staff. You will sleep like a baby and eat like a king! It’s time to head back to Bucharest! On the way, visit Peles Castle, a romantic construction facing the Carpathians. Now you have your batteries charged and ready for new adventures! Safe travels, and come back soon!